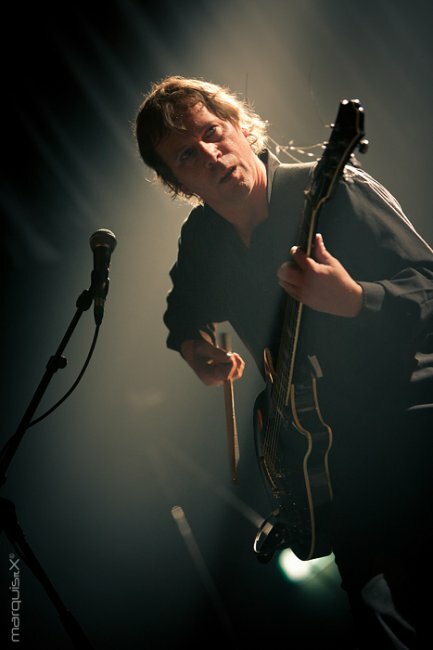 With a career fuelled by ambition, built on hard work and constant perseverance ... An overpowering blend of digital pulses, distorted guitars and intriguing vocals ... A stance that cannot be ignored, thriving on experiment and emotion ... A SPLIT-SECOND are simply too good to be ignored, and from their conception in 1985 it didn't take the world long to acknowledge the importance of their unique musical vision. 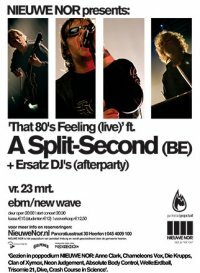 With having released classic records like 'Flesh' (THE blueprint for the Belgian-based New Beat movement), 'Rigor Mortis' and 'Ballistic Statues' they secured themselves a place at the forefront of the international underground, while elaborate albums displayed a group capable of embracing a variety of lyrical themes and musical ingredients, arranging them into the ultimate aural synthesis for body and mind. 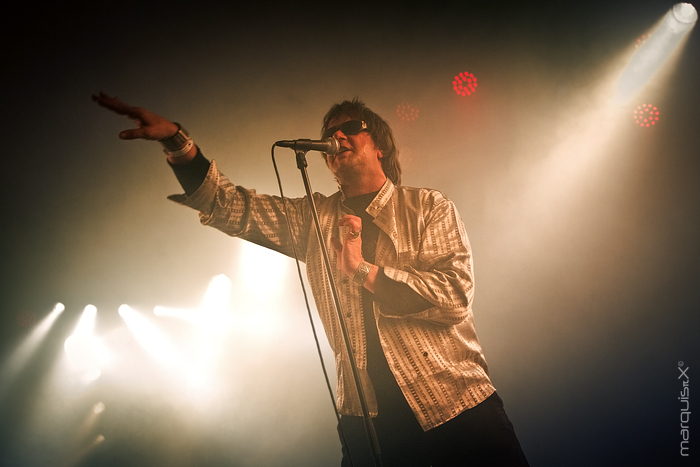 Lengthy tours throughout Europe and North America further established A SPLIT-SECOND's reputation as one of the most vital forces in electronic, subversive rock. 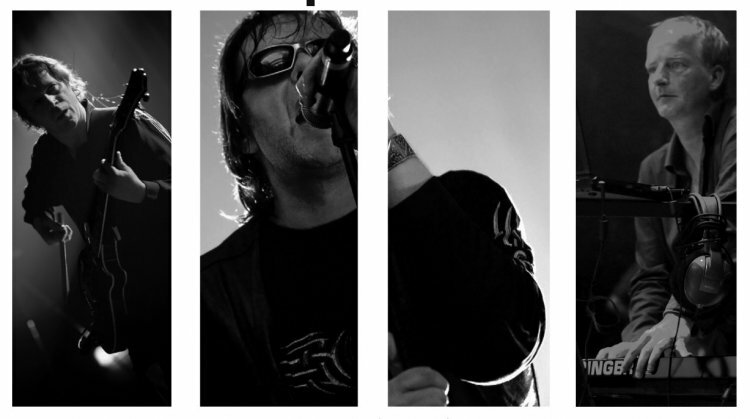 In March 2012 the band re-released their first ever (tape) release 'Stained Impressions' on the vinyl only label MINIMAL >< MAXIMAL. 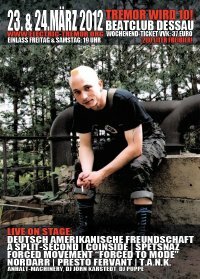 Meanwhile they continue to play around the world .. To name a few ... Foro RR Live, Mexico City, Mexico / Club madame, Sao Paulo, Brazil / Bodyfest, Stockholm, SE / Castle Party Festival, Bolkow, Poland / Sythetic Beats Festival, Bochum, D, Electrocution festival, Rostock, D / Geckofestival, Merchtem, B / WGT Festival, Leipzig, D), Defcon Night @ Drom, NYC, USA stunning friend and foe over and over again! 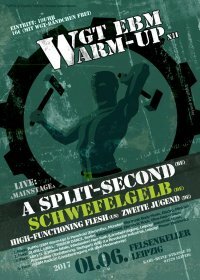 Today A SPLIT-SECOND is still available for clubshows and /or festivals with a 'Best of' set including such hits as Flesh, Rigor Mortis, Firewalker, On command and many many more! 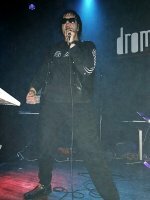 "Rigor Mortis Still Hasn't Set In After All These Years"
Read the full NYC gig review here! 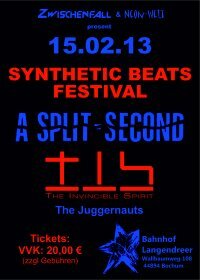 For more info & conditions contact us at: info(at)bodybeats(dot)be. 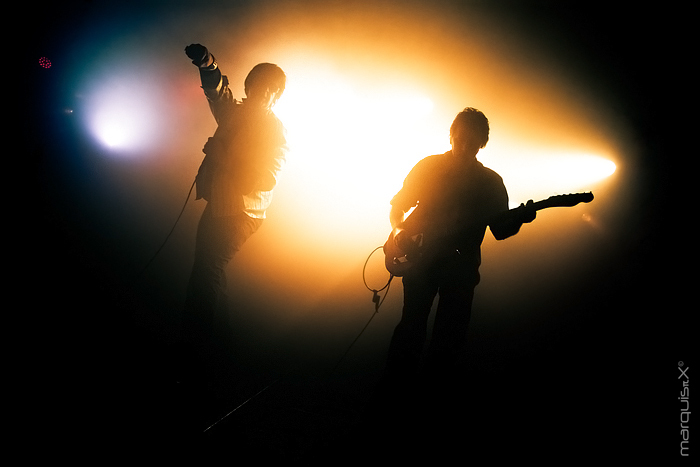 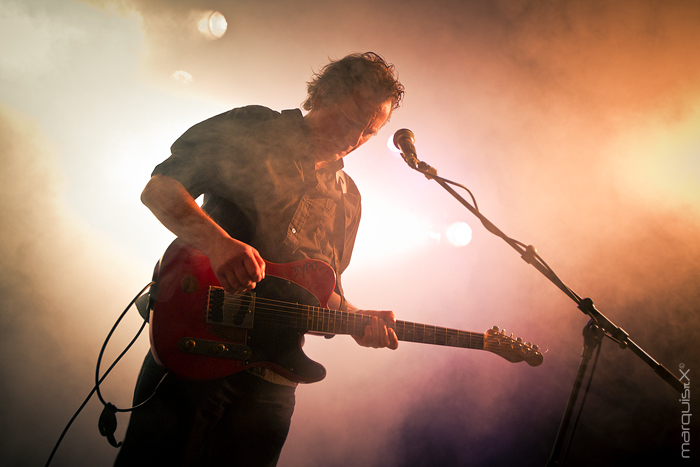 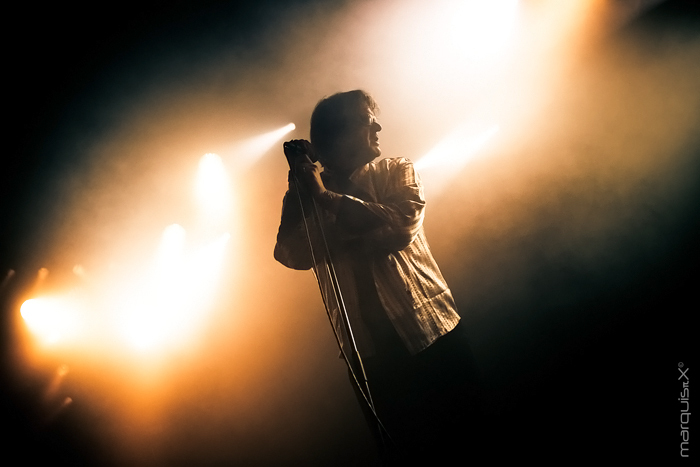 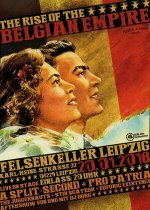 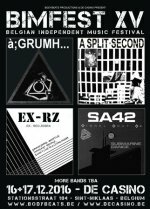 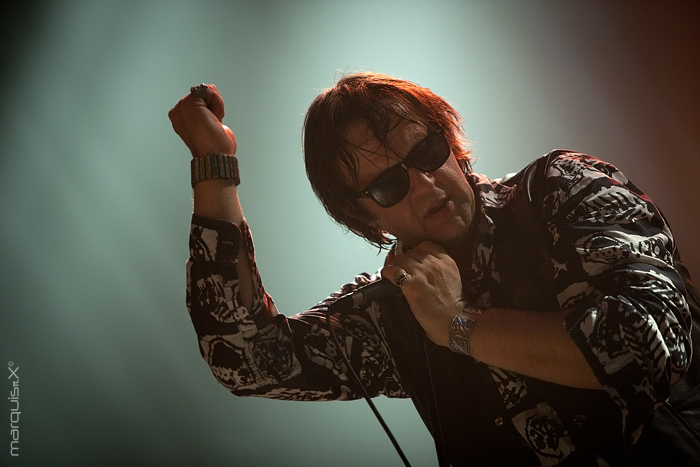 22 February 2016 BIMFEST is looking for two Belgian opener bands! 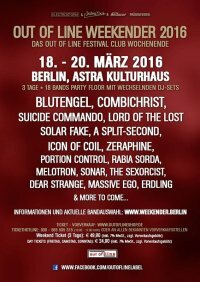 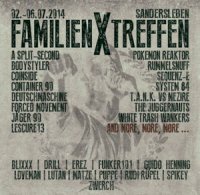 09 February 2016 The first names of BIMFEST 2016 revealed! 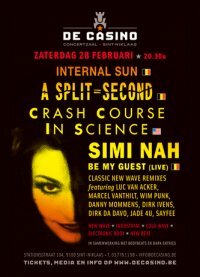 BIMFEST moves to De Casino! Early Bird ticket sales started! 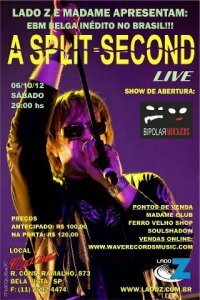 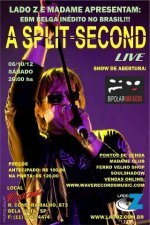 09 August 2012 A Split-Second goes Brazil! 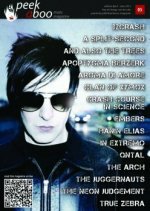 02 April 2012 Peek-A-Boo Magazine nr 5 out now! 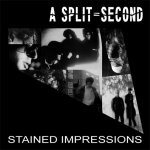 12 March 2012 First ever tape release of A SPLIT-SECOND 'Stained Impressions' re-released! 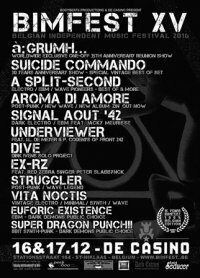 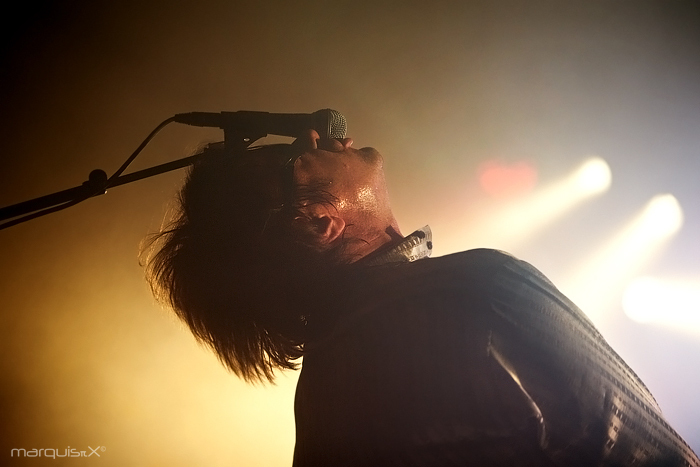 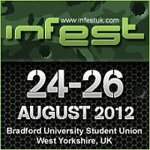 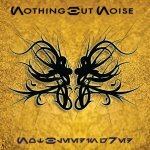 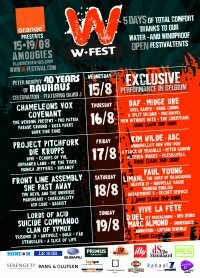 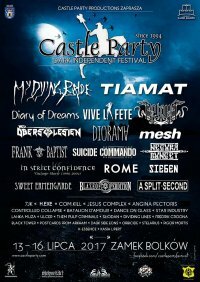 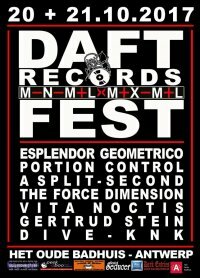 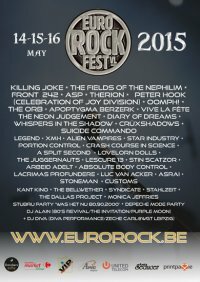 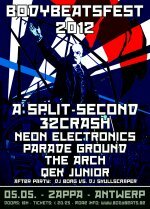 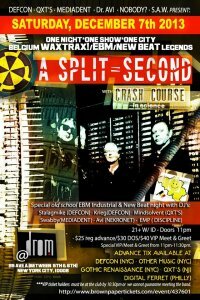 04 March 2012 A SPLIT-SECOND confirmed @ INFEST 2012! 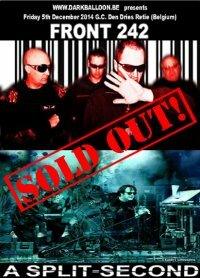 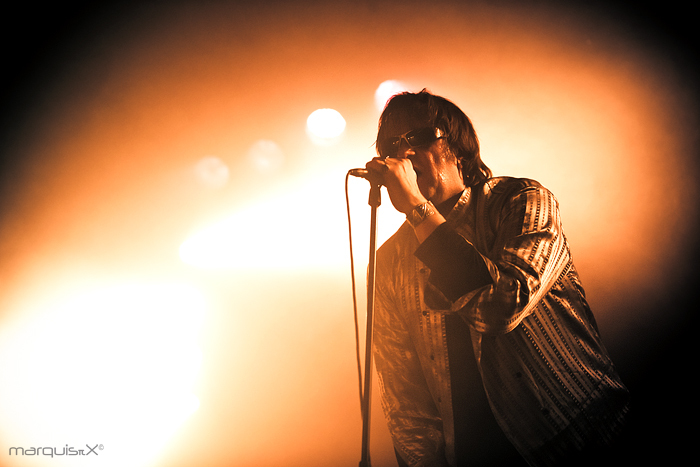 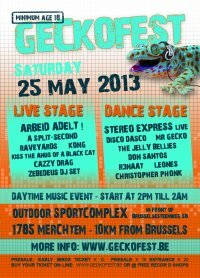 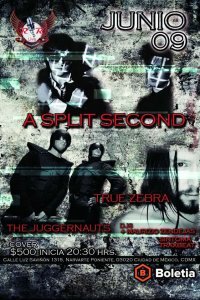 25 February 2012 True Zebra added to BODYBEATS FEST 2012 line-up! 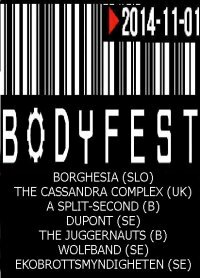 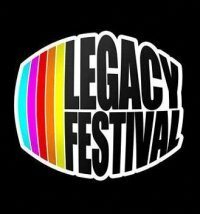 14 January 2012 BODYBEATS FEST 2012 is a fact! 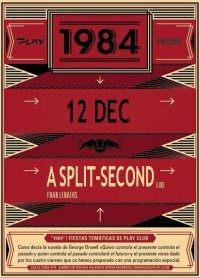 entradas a la venta desde el día 20 de diciembre. 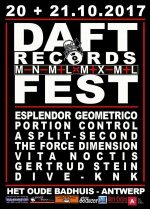 tiendas en madrid: rotor, diskpol, escridiscos, rara avis, recycled. 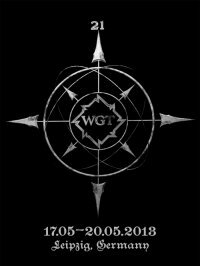 clubs y bares en madrid: unterwelt y condominium.